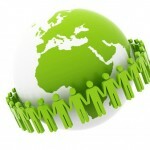 Companies are increasingly aware of corporate social responsibility. Anak can help to give your CSR policy a meaningful interpretation. A company can financially support the projects of Anak, but also by sharing knowledge and experience. Would you like to collaborate with colleagues or team mates and be committed to talented young people in the Philippines? Please join your efforts and help to support one or more children to school or support activities for street children or enable a summer camp for an orphanage. We are open to explain the different possibilities of sponsorship to your team.